Yesterday morning, The Skimm gave us some drinking game ideas for the presidential debate last night. And while I’m not really qualified to cover the debate in this post, I thought I would talk about a subject I am a bit more versed in; drinking. Back when we used to watch The Bachelor or The Bachelorette, we would laugh and drink with every mention of the word, journey. Lately, I’ve been joking with Jim that our new drinking game should revolve around me saying the word, “CAREFUL!” Because, my friends, I say it a lot. There are little people over here constantly trying to climb onto tables and countertops and jumping off the backs of cushioned arm chairs and where is your helmet?! I say it when their underwear gets too close to the toilet seat in a public restroom and when they open the refrigerator door and nearly dent their foreheads. I say it when they are making their way down the steps into the garage in the morning and as they try to open car doors as I struggle to set the house alarm. I say it during bath time when they insist on standing and during tantrums on top of the changing table. Follow me and play my careful drinking game and you will likely be under the table just a couple hours in. I know I was overly cautious like this before, but now I am with the girls more and I hear myself saying this more frequently. Let me be the first to admit, I am terribly annoying. 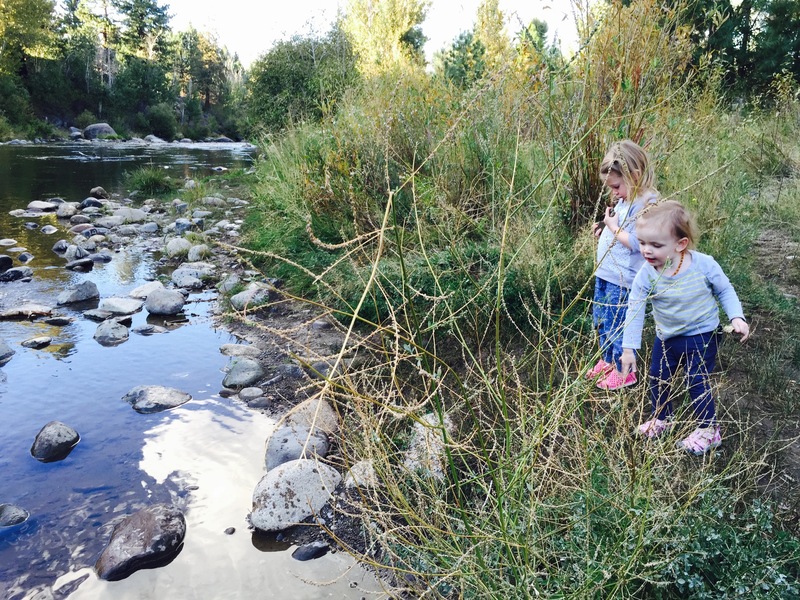 We recently went for a walk by the river and as the girls threw rocks and made wishes and dug in the dirt for more rocks to throw I was trying so hard to just be present and let them be kids. But there I went, asking Harper to be careful of her sister and then continuously reminded Elliot to be careful in not getting too close to the edge. But then again, this is a part of mothering right? To borrow a corporate term, to mitigate risk? It’s a slippery slope one must approach carefully, of course. I also am lover of The Skimm. Love your posts.